An order from the government, the Local Plan includes 31,000 homes, many of which will have to be built within the green belt as there is insufficient non-green belt land in the borough. 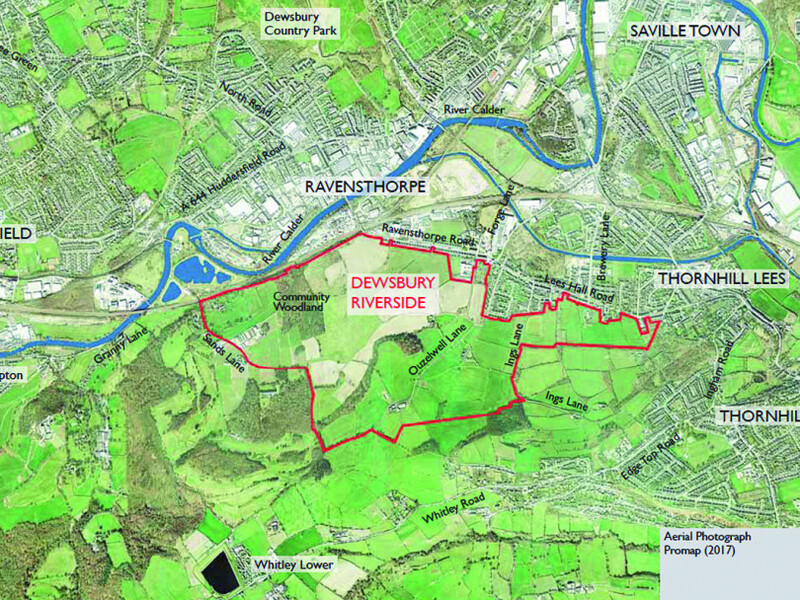 Among the huge schemes are developments at Dewsbury Riverside between Mirfield and Ravensthorpe (4,000 homes), and at Bradley, building on the 18-hole golf course (1,500 homes). Also cheering was Green Group leader Coun Andrew Cooper, who said the inclusion of an amendment to a policy relating to hydrocarbon extraction proposals could have a crucial impact on fracking across the country. Said Coun Cooper: “We cannot rule out fracking because that would go against national policy. His colleague Coun Peter McBride, who heads up the council’s regeneration projects, said: “The important thing now is that we deliver, because that is the way we can protect the green belt and our important urban green spaces against unwelcome development whilst delivering new homes that meet local needs. The debate on whether to adopt the Local Plan will be held at a specially-arranged full council meeting on Wednesday February 27 from 5.30pm. The inspector’s feedback can be found at www.kirklees.gov.uk/localplan. Copies are also available at the Dewsbury and Huddersfield Customer Service Centres. Council leader Shabir Pandor described the sign-off as “fantastic news”. But Liberal Democrat Group leader Coun John Lawson (Cleckheaton) said there was frustration about the amount of green belt land allocated for housing. “While we appreciate the importance of having a Local Development Plan to bring to an end the planning uncertainties of the last few years we fundamentally disagree with the imposition, by government, of the numbers that became the be-all and end-all of the plan,” he said. Coun John Taylor, deputy leader of the Conservative Group, criticised the Labour-run authority for failing to promote balanced growth and to create a distinct identity and future for the borough.